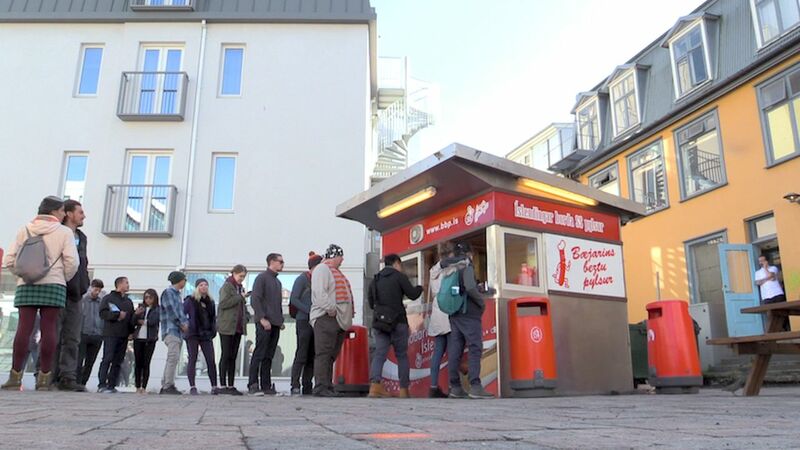 Bæjarins bestu, Iceland's most famous hot dog stand has now been reinstalled back to its old location after having to be moved due to construction in the surrounding area. Bæjarins beztu translates as "the city's best" and is a hot dog stand that has been in existence since 1937 in the downtown harbour area. A decade ago The Guardian named Bæjarins bestu the best hot dog stand in Europe and among the celebrities to have eaten there are former US President Bill Clinton and James Hetfield of Metallica.